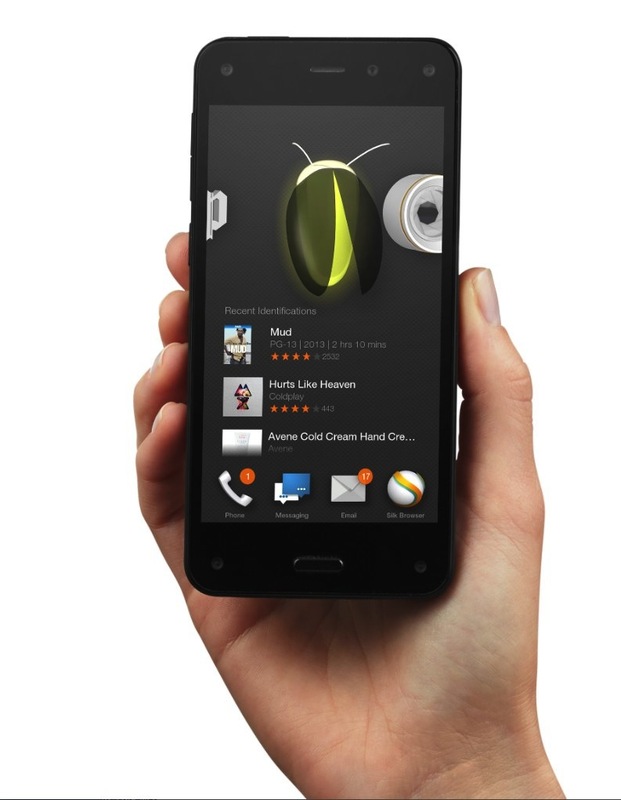 The Amazon phone’s Firefly feature validates the market opportunity for digital consumer-product interaction. The feature we were most interested in coming out of the Amazon’s Fire phone launch a few weeks ago was Firefly. Providing real-world scanning functionality, Firefly enables users to visually search for images, text and product labels and barcodes – at the push of a button. How does it work? Imagine you see an item you’re interested in. 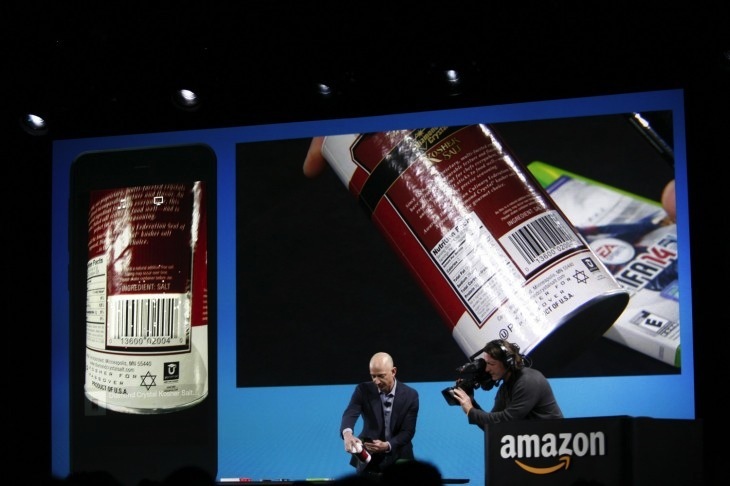 Scan it with Firefly, and immediately get the most relevant matching products from Amazon (think Shazam for real-world objects – Firefly does sound too btw). It’s a very smart play. They are effectively turning everyone’s products into digital media on their terms by making every product scannable and directing users to their site. It makes the physical world part of Amazon devices – which already treat the world like a giant shop – and enables consumers to make frictionless purchasing decisions in seconds. Just as Google is always partly looking for ways to create more media inventory for AdSense (e.g. Gmail, Maps, possible wearables like Glass? ), Amazon wants new digital ways to shop (Kindle and Fire tablets have always been, unapologetically, subsidised e-commerce interfaces). But the most important point here is the emergence of product scanning as a new consumer behaviour. Amazon certainly believes this is an important part of how consumers will digitally engage with products, and there are some other important supporting trends to consider too. The number of QR codes and barcodes being scanned by consumers with smartphones is an obvious data point. The analysis of some recent data has shown a 20% rise from last year with 21.8 million smartphone scans in the first quarter of 2014, with product info and video the most popular content. 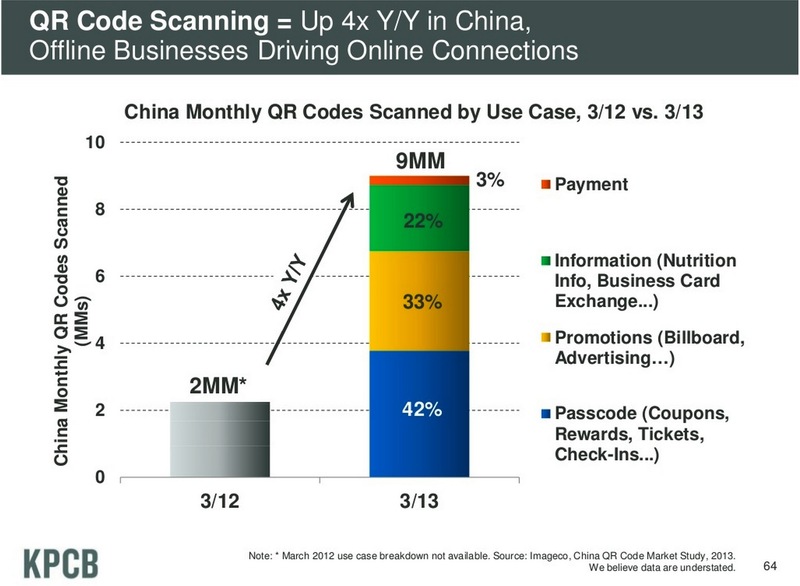 However, in Mary Meeker’s famous Internet Trends analysis last year, she reported that there were nine million QR code scans a month in China alone, a 400% rise on the previous year. There 42% are being used for tickets, discounts and rewards, while 33% used them for wider promotional purposes. Add this to technologies like NFC (see below), Augmented Reality and other forms of image recognition, and this all points to a clear consumer demand for mobile solutions to combine the physical and digital worlds (although poor execution has slowed adoption of some technologies like QR codes in the West). There are other equally important behaviours where consumer scan barcodes or swipe / tap NFC-cards and devices emerging fast, or that have already become mainstream in different markets. For instance, there are now estimated to be around 1/2 million self-scanning machines in retail outlets worldwide, while Tesco are already piloting newer scanning technologies like ‘scan as you shop’ handheld scanners in 60 stores. 39.1% of US consumers last year rated it as “very” or “somewhat” important to have self-checkout / self-scanning options when selecting their primary grocery store. 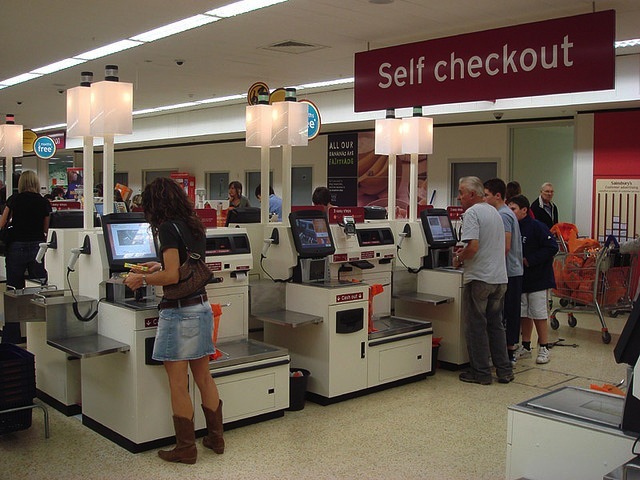 And a Cisco retail report recently found that the majority of consumers globally (52%) were open to automated self-scanning at checkout to avoid queues – unsurprisingly, with a skew towards the younger demographic: 57% of so called Gen Y (18-29 year olds) and 55% of Gen X (30-49 year olds) shoppers preferred it. And let’s not forget that 80% of the three million journeys a day on public transport in London already use NFC-powered Oyster cards – not to mention that there are over 40 million contactless payment cards in the UK and 174,000 retail terminals as of February 2014 – that’s a lot of new scanning, tapping and swiping consumer behaviours going on. By far the greatest opportunity for digital consumer/ product engagement is with brands. As we started talking about in 2012, consumers should be able to digitally engage with physical products as part of the core brand experience; more than this, the product should be ‘always-on’ and able to recognize consumers in the moment and in the context of purchase or use, responding in real-time to deliver useful content, or services or experiences to help people get more out of it. It’s an incredible opportunity – and very real, right now. We’re excited to be working with innovative brands who haven’t just imagined the opportunity – they’re embracing it, and already seeing tangible results. The question isn’t whether consumers will directly engage with branded products digitally using smart mobile devices, but how quickly all brands will realize that they need to take control of their physical products as digital media (using existing labels and barcodes or adding new tags as smart packaging triggers for digital engagement). And this means brands must control the interface and data too – while partnering with a third party app to engage consumers with products is tempting, it’s really handing ownership and control of customer relationships to someone else which simply doesn’t make sense as a long-term strategy. The truth is that if a brand doesn’t control its own products as a core digital media asset then someone else – Amazon – will be happy to do it on their behalf.